Who has time for winter? More importantly, who has time to be cute in the winter? Many were recently hit by Winter Storm Jonas, making life a little more difficult, especially when it comes to fashion. 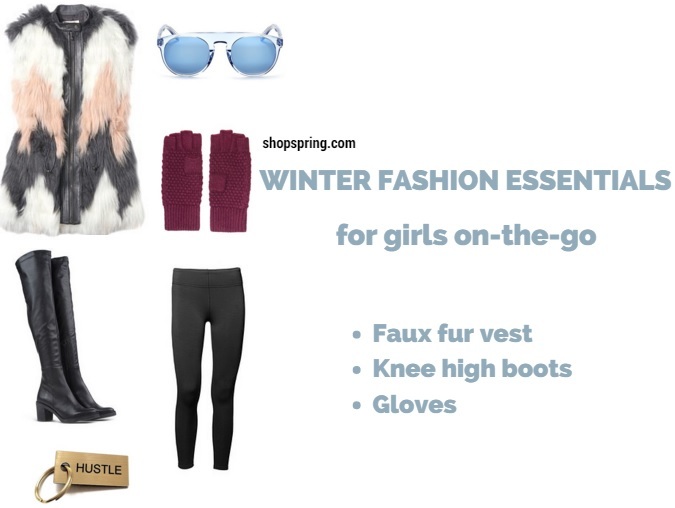 Trekking through several feet of snow is hardly fabulous, but thanks to Spring Fashion, I have selected a few key winter pieces for girls-on-the-go. Because it’s both fashion-forward and warm! Knee high boots keep you warm and trendy. Bonus for a material that can be easily cleaned after stepping in snow. This is a no-brainer. Stay warm and keep it cute. Shop Spring Fashion here, or download the app (available for iPhone and Android) for easy access to winter fashion essentials.